A slight dogleg right. 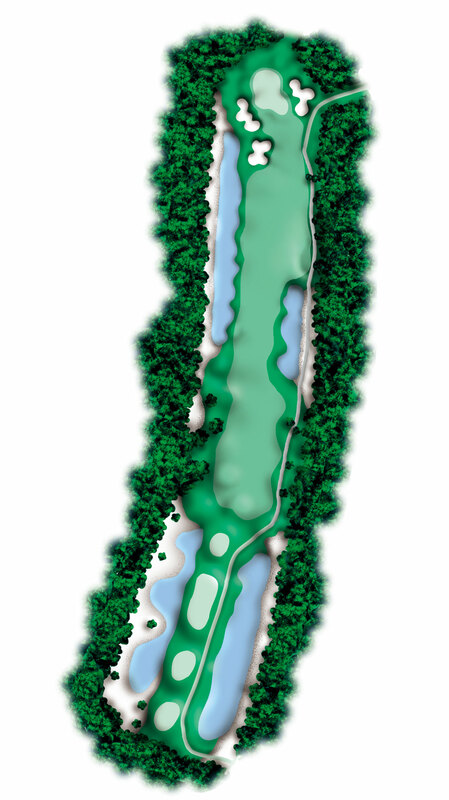 Favor the right center of fairway to avoid hitting into water left. Big hitters should consider a fairway wood or long iron off the tee. A spacious landing area starts this three shot par five. 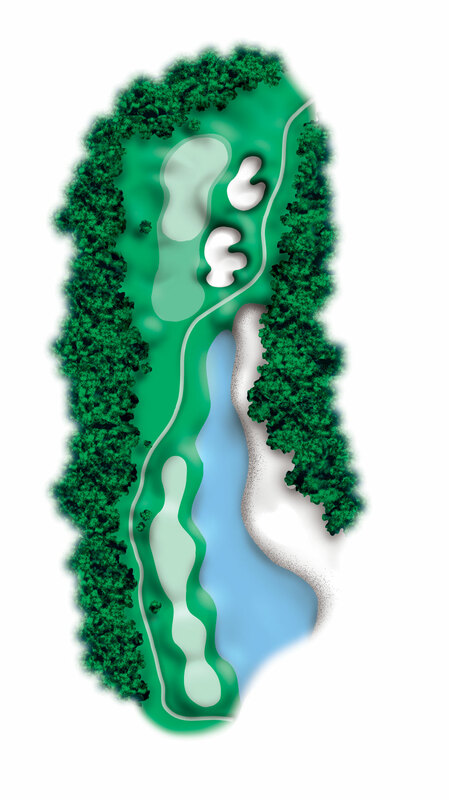 With a good tee shot, the lake on right may be carried by your second shot, leaving you a short iron to the green. This long par four requires a tee shot to the left center of the fairway. A waste area and three trees guard a large green which slopes back to front. Club selection is at a premium. 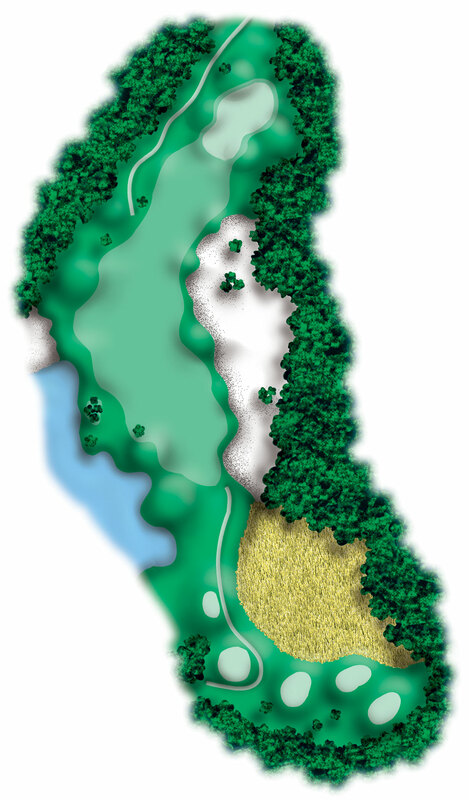 This large green is protected by bunkers right and trees left. Note the distance to the waste area and wetlands through the fairway on the right. The split rail fence defines out of bounds. A fairway wood or long iron will leave you a mid iron approach to a tiered green. Another par four that demands good placement off the tee. Clear the wetlands and you will be left with a short iron to the green. Note the hole location, this green slopes in three directions. 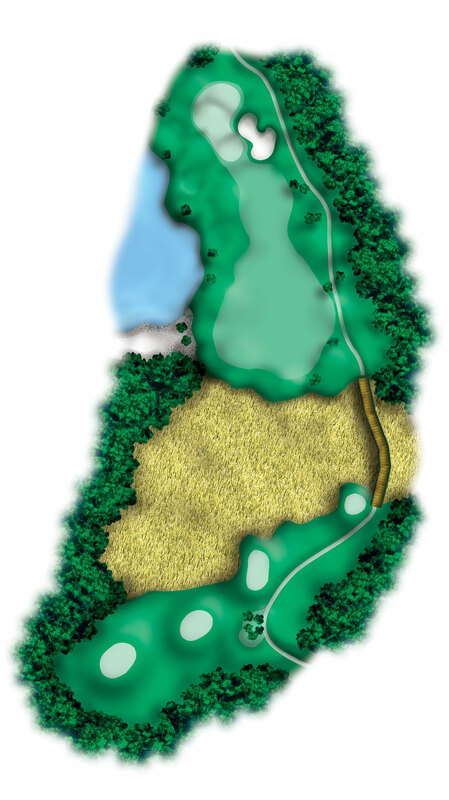 You should favor the left center of the fairway to avoid the waste area on the right. This will leave you a mid to short iron to the green. 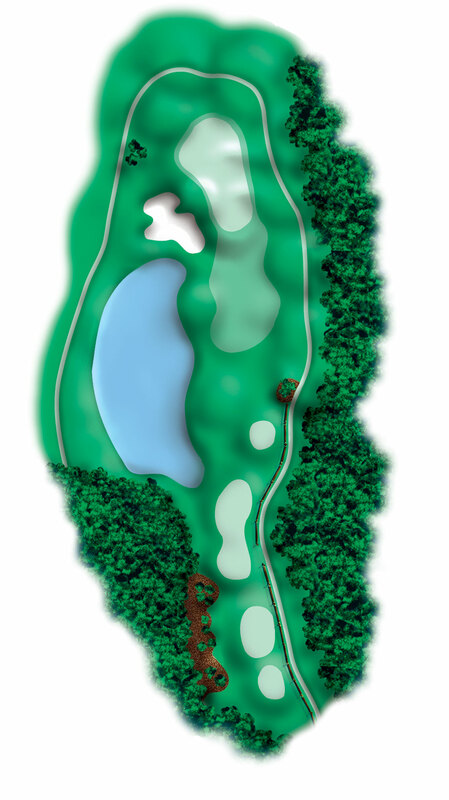 The sloping green offers several hole locations, making proper club selection key. A simple but intimidating three shot par five. 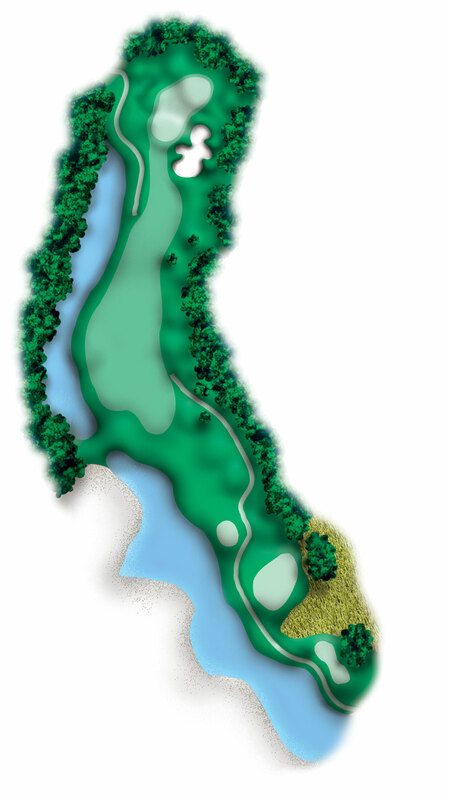 The object is to carry the two wetlands which will leave you with a short iron shot to the green. Favor the right side of the fairway with your second shot.